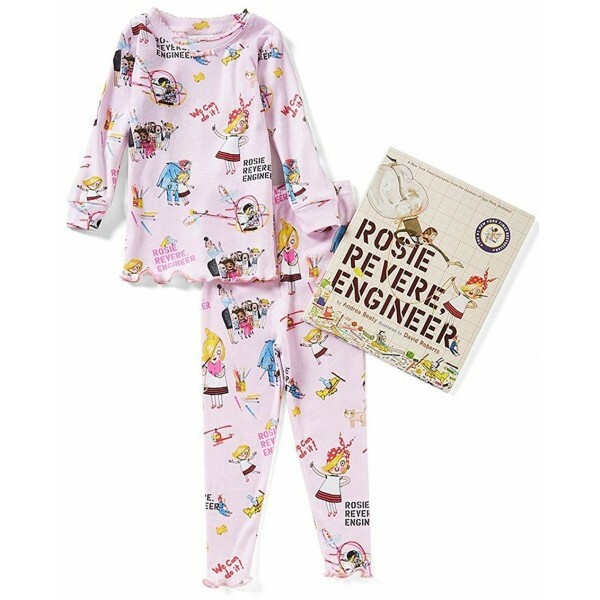 Inspire her to tinker, experiment, and persist with these wonderful pajamas featuring Rosie Revere, Engineer! 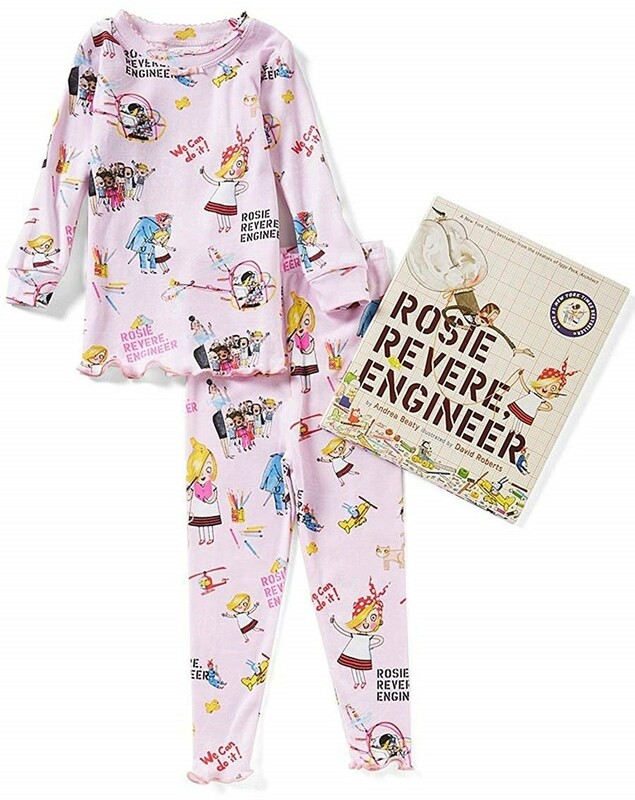 This gift set includes a pair of 100% cotton long-sleeved pajamas with an all-over print of Rosie and her friends — including her beloved Auntie, AKA Rosie the Riveter — and a copy of the best-selling book. This set is available with pajamas in infant sizes 24 months, toddler sizes 2T, 3T, and 4T, and children's sizes 4, 5, 6, 6X/7, and 8.